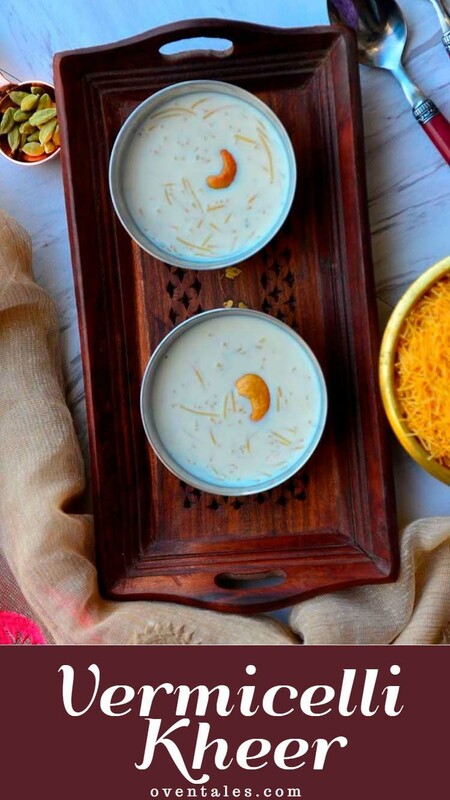 Payasams or kheers are easy deserts popular all over India. Doesn’t everything tastes better with sweetened milk ? Oh yes, that is what kheer is, a starch or fruit cooked in sweetened milk. 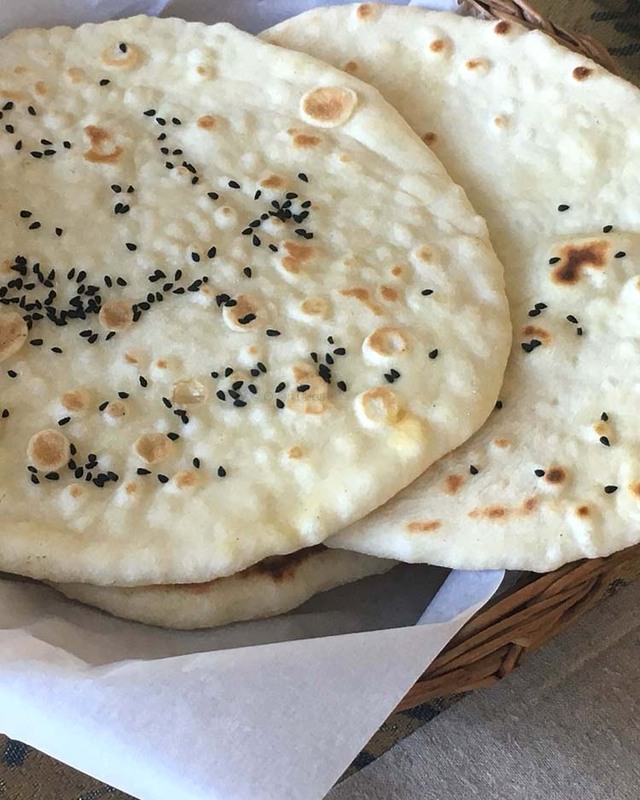 There are a variety of ingredients that can go into these – rice, wheat, oats, carrots, sago … the list goes on. Pal Payasam as rice kheer is known in South India, is one of the most popular ones for generations. Imagine living in a joint family where you have someone’s birthday/anniversary or a some other occasion to celebrate every few days.Now if you are in charge of the family kitchen, wouldn’t you want a simple desert that can be whipped up easily with your pantry staples? That is the story of rice Kheer – just a few simple everyday ingredients coming together for a celebration. Once vermicelli noodles became popular Semiya Payasam or Vermicelli Kheer became the easy desert of choice. Vemicelli noodles were a nice change and quite a departure from the soft rice texture. Availability of condensed milk and roasted vermicelli made the whole process all the more easier. 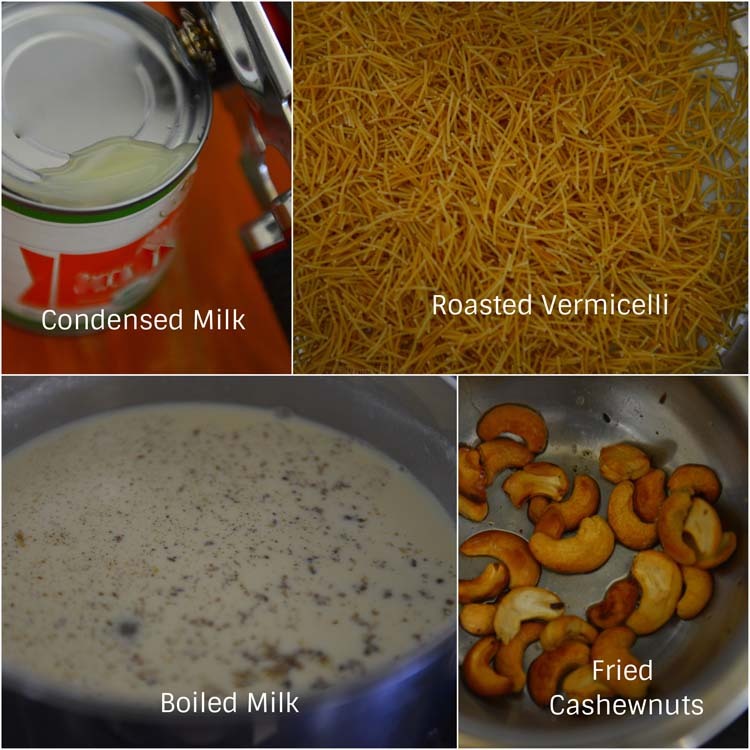 Now you can have payasam ready in 20 minutes, in just enough time to boil milk and the vermicelli to get cooked. Not everyone was pleased with this though. My grandpa put vermicelli and worms in the same category. But as kids we loved it. My kids love it as well – and as toddlers they used to call it noodle payasam. The noodle has been here for at least 2 generations and looks like it is going to stay for some more time. 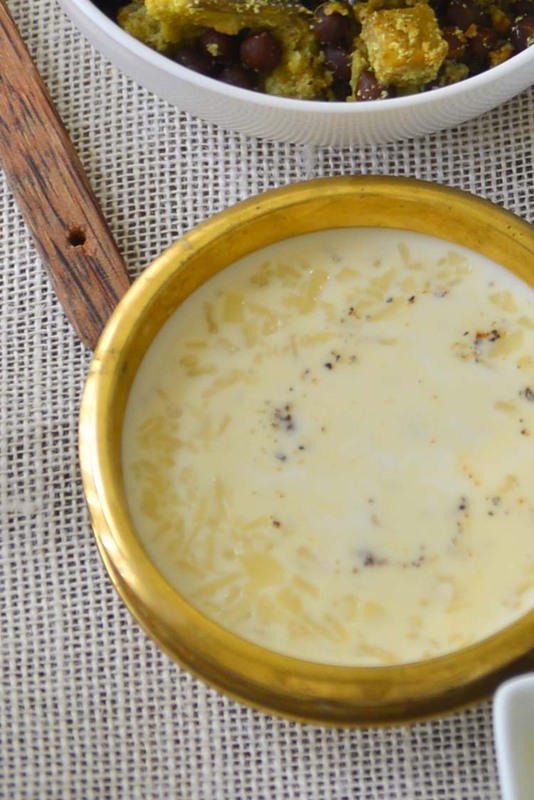 The traditional way of making this payasam involves thickening milk. The noodles are roasted and cooked in milk and sweetened to taste. 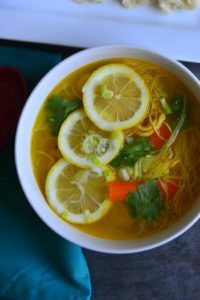 It is usually flavored with cardamom and sometimes with a few strands of saffron. A few roasted cashew nuts and raisins adds the final touch. The modern versions include a variety of nuts (pistachios and almonds ) and sometimes spices like nutmeg come to the party as well. The most difficult part of this recipe is boiling milk and thickening it. You can not leave milk boiling on the stove and try to finish that last chapter of novel or focus on anything else. 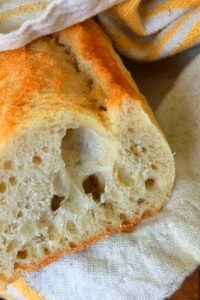 You have to pay attention to it and stir every so often to prevent overflows and burnt bottoms. Fortunately we have condensed milk. Once the vermicelli is cooked in milk stir in the condensed milk. Adjust sugar and you are done! It is rarely that you have cook the payasam any further. The recipe here is going to give the condensed milk version with the traditional version included in the notes. A word of caution though – if you resort to payasam as a way of ensuring milk in the kid’s diet then don’t use condensed milk and do not thicken it either. Bring the vermicelli to a boil and turn off the heat and leave the container covered on the stove for 15 to 20 minutes. The roasted vermicelli should get cooked by then. If not bring it back to boil and simmer for 5 more minutes stirring often. Lightly sweeten and serve ! 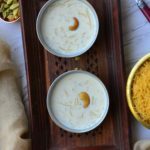 This is an easy milk based desert with fried vermicelli noodles swimming in a pool of thick sweetened milk . Heat a thick bottomed deep pot (stock pot / dutch oven) large enough to hold at least 8 C of liquid. When the pan is hot toss the semiya (vermicelli) in and dry roast for 1 minute (see Notes if the noodles are not pre-roasted). Remove and reserve. Wipe down the pot and Pour the milk and and 1 C water into it. Bring to a boil over high heat stirring a few times in between (about 5 minutes). Once the milk is boiling add the semiya into the pot, stir and bring back to boil. Reduce heat to low and let it simmer for 15 minutes. Stir occasionally to avoid a skin from forming on top. Add the condensed milk and stir. Bring to a slow simmer and taste. if needed add more sugar. Crush the cardamom seeds and sprinkle on top. Turn off heat. While the vermicelli is cooking , heat oil/ghee in a small pan. When it is hot add the cashew nuts and fry till it becomes golden brown, stirring often. Drain and reserve. If using raisins toss into the same oil and heat till it plumps up. Drain and reserve. Mix in half the fried nuts and raisins to the payasam. Transfer to the serving bowls and garnish with the remaining nuts and raisins. 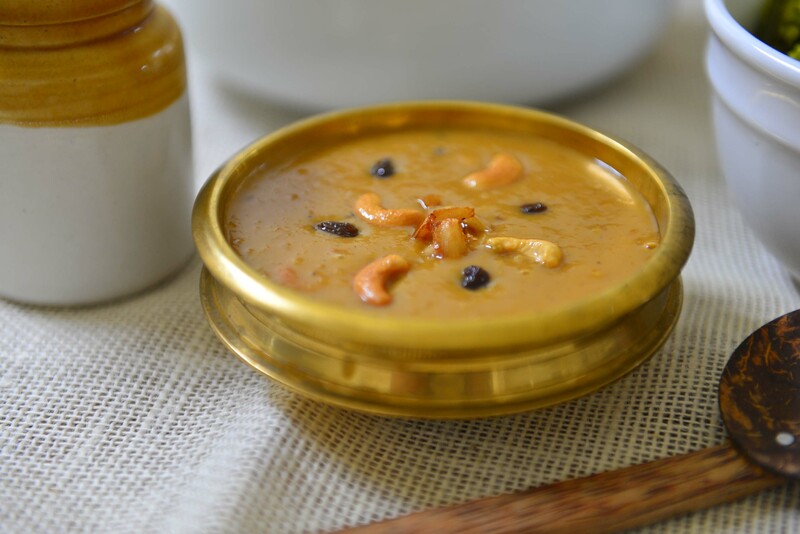 If not serving soon refrigerate as soon as the payasam comes to room temperature. If the semiya noodles are not roasted, take a thick bottomed frying pan and heat 1 tsp ghee. Add the semiya and roast over medium heat stirring often until all the needles begin to turn deep orange color. At any time if the pan begins to smoke reduce heat. If not using condensed milk, increase the milk to 6 cups and cook down to desired consistency. When cooking the traditional way (all milk) use a larger pot - enough to contain at least 2 1/2 times the amount of milk - to reduce the risk of spills. Use only just enough ghee to fry. How thick you want the payasam is entirely up to you. Kheers thicken as they rest. Keep that in mind when as you cook . 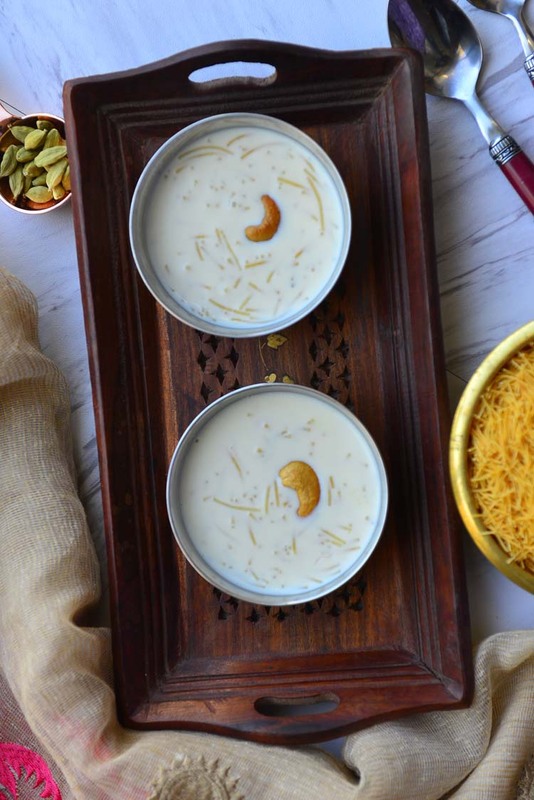 Kheer that looks thick and creamy could turn into s soft custard as it cools. We prefer to have our vermicelli kheer a little thick and creamy, except when I serve it over a base – more on that another time! When you refrigerate kheer it tends to thicken more than usual. To thin add a few tablespoons of warm extra. These recipes are part of traditional kerala sadya (feast) meals. Chick to see more sadya recipes.